Unpackaging convenience food is one of the most routine, boring, and trivial activities in the West. The massive repetition during decades of this underestimated action has been the main “silent” source of plastic pollution in the environment. Plastics are ubiquitous materials due to their low cost, easy processability, and excellent physical properties. For instance, they can be transparent, rigid or flexible, impermeable, and stable in a wide range of temperatures. All these characteristics have triggered their manufacture for food packaging applications. However, plastics are so chemically inert that they do not degrade by natural processes, accumulating for hundreds of years in the environment, predominantly in the oceans, and harming living organisms. In addition, the dwindling of fossil resources and global warming are other problems related to plastic production to be considered. Different strategies, such as the use of fully biodegradable and renewable materials, have been developed to overcome plastic drawbacks. Moreover, active packaging, that is, the incorporation of additives into the package to extend and increase food quality and shelf life, can be also employed to improve the properties of food packaging materials. Researchers from the group of Smart Materials in the Istituto Italiano di Tecnologia, Italy, together with the Department of Earth, Environmental, and Life Sciences of the University of Genova have used this approach to fabricate an antimicrobial, antioxidant, and waterproof composite. To this end, ethyl cellulose, a room temperature vulcanizing (RTV) silicone, and clove essential oil were blended in a solution and drop-cast to form robust films. Ethyl cellulose is a versatile, thermoplastic, non-toxic, biodegradable, and edible cellulose derivative that is currently used as an additive and excipient in drug formulations, cosmetics, and food technology, while silicone has good hydrophobicity, tunable elasticity, high thermal, light, and chemical stability, has been approved as a food additive, and can hydrolyze in soil by abiotic and biotic degradation. On the other hand, clove essential oil is a substance mainly composed by eugenol and extracted from the plant Syzygium aromaticum with an important multifunctional bioactivity such as antimicrobial, antioxidant, antifungal, and antiviral activity, as well as anti-inflammatory and insect repellent properties. The composites were formed by ethyl cellulose-rich matrices and silicone-rich microparticles. The number and diameter of particles in the composite depended on the silicone content and allowed a fine tuning of several properties such as opacity, mechanical properties, hydrophobicity, water uptake, and water permeability. In particular, water barrier properties and hydrophobicity were significantly improved with silicone content, making these materials appropriate for food packaging. Interestingly, the addition of clove essential oil substantially increased the antioxidant capacity of the composite, protecting better the food against oxidation, which decreases both the nutritional value and energy content of food as well as affecting its organoleptic properties. 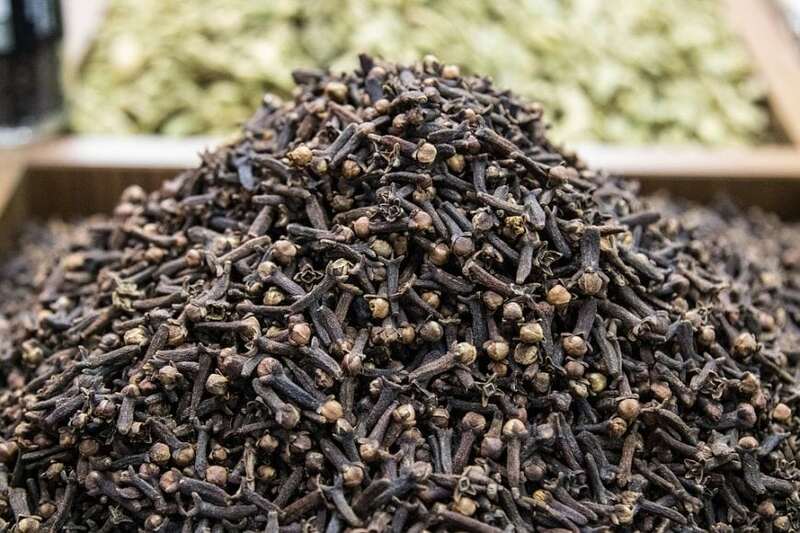 Moreover, the controlled release of clove essential oil from the composite inhibited the biofilm formation of common pathogens, such as Escherichia coli, Staphylococcus aureus, and Pseudomonas aeruginosa, that can be easily found in foods and are responsible for many foodborne illnesses. In his famous book Hopscotch published in 1963, the Argentinian novelist Julio Cortázar wrote, “The kingdom will be made out of plastic material, that is a fact.” Fifty-five years after, this prediction is real. However, we have the possibility to change something, to make our daily consumption behaviors more ecological. This work is just one of a myriad of studies where mostly plant substances can be used to fabricate sustainable materials. It is time for a “green” paradigm shift. These findings are described in the article entitled Antimicrobial, antioxidant, and waterproof RTV silicone-ethyl cellulose composites containing clove essential oil, recently published in the journal Carbohydrate Polymers. This work was conducted by José A. Heredia-Guerrero, Luca Ceseracciu, Susana Guzman-Puyol, Uttam C. Paul, Alejandro Alfaro-Pulido, Tiziano Bandiera, Rosalia Bertorelli, Debora Russo, Athanassia Athanassiou, and Ilker S. Bayer from the Istituto Italiano di Tecnologia, Genova, and Chiara Grande and Luigi Vezzulli from the University of Genova. Previous Post« Previous Marine Mammals Of Mexico: Are We Successfully Protecting Them?